Being involved in a motor vehicle accident in San Diego can be a scary and stressful situation. If you’ve been severely injured, circumstances become a lot more serious. So, what should you do? Follow these tips after an accident and you’ll be ready, despite any legal eventuality. 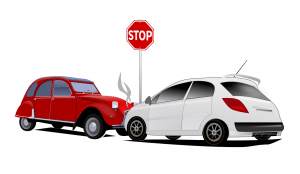 Stop your vehicle – leaving the scene of an accident is a crime. Pull over and evaluate the situation. Assess the injuries of yourself, the other driver, and any passengers – minutes can be the difference between life and death with a serious injury, so call 911 immediately if there’s a medical emergency. Move your car off the road – While you can’t flee the scene, you should move your vehicle to a safe location near the crash site. Leaving your vehicle in harm’s way can hurt your court case. Nevada law expects car accident victims to reasonably mitigate their damages. Exchange insurance information – No matter who is at fault, you and the other driver must exchange insurance information according to Nevada law. If you don’t have it with you, give the other driver enough information to contact you. Collect information from witnesses – get witnesses’ information before they leave the scene as their testimony can make or break a case. Photograph the site – you should be taking photos of any cars involved in the accident, as well as the accident location, property damage, and vehicle license plates. Contact your insurance – After you’ve gathered evidence, call your insurance company and file a claim. Tell them you are in shock and let them know about the location of any pain you feel. Documentation of injuries is very important at this early stage. Don’t admit fault – Never say that the accident was your fault or apologize to the other driver, even if you feel you caused it. Any apologies can be used against you later by the driver’s attorney and insurance adjusters as an admission of guilt. Get the Police Report Number – If the police have investigated your accident, always ask for the police report number so your attorney can retrieve the crime investigation report. Stay off social media – Discussing your collision on social media sites like Facebook and Twitter can ruin your case. In addition to your friends and family, the police investigators and insurance adjusters will be checking out your page, so keep posts to a minimum. If you or a loved one has been seriously injured in a car accident, call the Jorgensen Law in San Diego 24/7 at 1-888-855-2948 or contact us through our online form to set up a free case evaluation. Our San Diego personal injury attorneys handle all motor vehicle accident cases on a contingency fee basis. We don’t collect a fee unless you win your case.